This rack works by utilizing the hour-glass shape of your snowboard, and requires no permanent changes to your board. 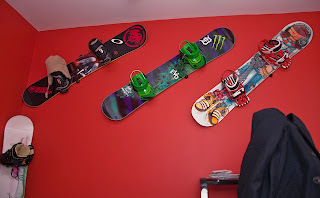 Just mount your rack to the wall at any angle you want, and then simply slide your board right onto the rack. Each component of the rack comes with molded rubber to securely hold your board in place and protect its edges. I like this rack because it allows you to treat your board like a piece of art. Snowboard designers put a lot of effort into making snowboard top sheet graphics look awesome. 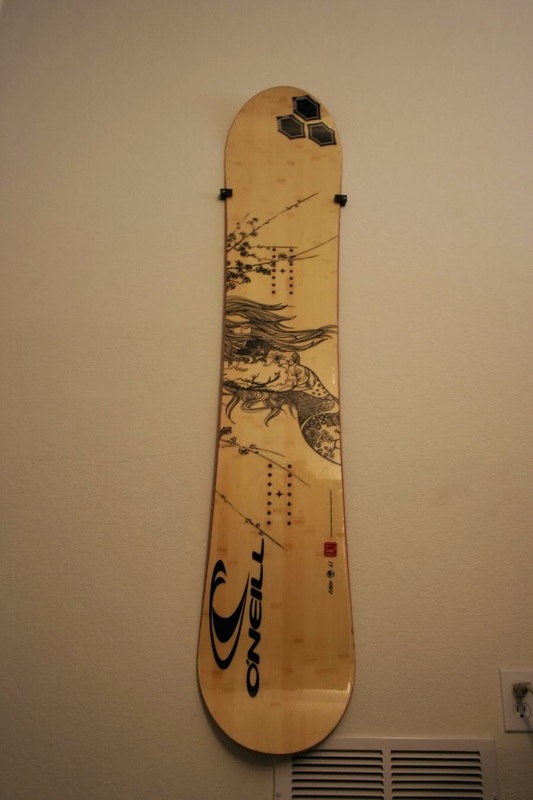 In fact, the graphics on your board may have been a big factor in deciding why you wanted it. This rack comes in both black and white, so you’ve got options on how you want it to complement your board and/or room.